Epigenetic Cancer Therapy unites issues central to a translational audience actively seeking to understand the topic. It is ideal for cancer specialists, including oncologists and clinicians, but also provides valuable information for researchers, academics, students, governments, and decision-makers in the healthcare sector. 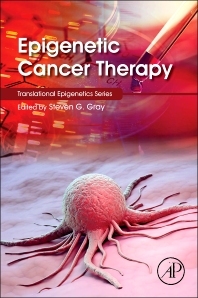 The text covers the basic background of the epigenome, aberrant epigenetics, and its potential as a target for cancer therapy, and includes individual chapters on the state of epigenome knowledge in specific cancers (including lung, breast, prostate, liver). The book encompasses both large-scale intergovernmental initiatives as well as recent findings across cancer stem cells, rational drug design, clinical trials, and chemopreventative strategies. As a whole, the work articulates and raises the profile of epigenetics as a therapeutic option in the future management of cancer. Researchers in molecular biology, genetics, and clinical therapy who are interested in the role of epigenetics in cancer biology or those seeking novel means to treat cancer. 5 Is There a Correlation Between Methylation and Response to Hypomethylating Agents? 6 What Is the Optimal Dosing Regimen? 5 What Antitumoral Effect to Expect from Epigenetic Drugs?